Save a Turtle One Straw at a time! Reusable stainless steel metal straw. 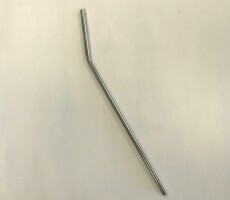 Metal straws are easy to clean, dishwasher safe, rust and scratch proof. Our straws are food-grade 18/8 stainless steel metal. No metal aftertaste. Smooth edges. Curved for easy sipping.